What do potato chips and cool towns have in common? Answer: You can co-design your own. As the story goes, in Spring 2004, Kettle execs were reminded of the vast opinions by its chips’ fans. That Summer collected 16,000 official suggestions for what its next flavor should be, as long as it fit the criteria of being all-natural, tasted good, and was sellable. 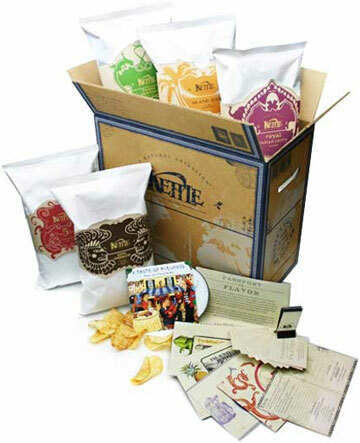 10,000 votes and one year later, ‘Spicy Thai’ and ‘Cheddar Beer’ were introduced as Kettle’s first People’s Choice chips. What’s the big deal to Kettle? In 2005, its U.S. sales rose 28.1% while the potato-chip market as a whole grew only 1.2%. The 2006 People’s Choice went to ‘Buffalo Bleu Cheese’ and ‘Tuscan Three Cheese’, but allowed fans to buy 10 packs of the five top contenders. Hmm, a little shade of American Idol here. The 2007 People’s Choice went to ‘Island Jerk’, and the makings of a social network came with it, which is fundamental to building a cool town. So, one company’s ‘economy’ grew because they listened to their fans and actually created exactly what they collectively wanted. Will a city be far behind, manifested via buildings and blocks instead of chips? It won’t be long, and you can rest assured their economy will grow at a much faster rate than everyone else’s just the same as Kettle’s did. Based on a story in Fast Company magazine.